President Donald Trump signed an executive order Wednesday that could make it harder for state governments to block energy-development projects such as a proposed coal-export terminal in southwest Washington that has failed to get a permit because of environmental concerns. In making the announcement, Trump lashed out at “state-level abuse of water-quality certifications.” He signed the order in Crosby, Texas, in the heart of oil and gas country, touting what business groups have been urging: faster approval of major energy projects. State scrutiny of federal water-quality permits is called for by the Clean Water Act and enables state regulators to reject permits, or impose conditions. The Environmental Protection Agency (EPA) offers guidance on how the states should weigh in on these permits. But the order declares this guidance “outdated,” causing “confusion and uncertainty” for energy developers, and instructs the EPA to conduct a review to see how it should be changed. State officials have been aware for months of the possibility of the Trump administration crafting this executive order. In his speech Wednesday, Trump specifically blasted New York regulators’ denial of a permit for a natural-gas pipeline because it failed to meet water-quality standards. 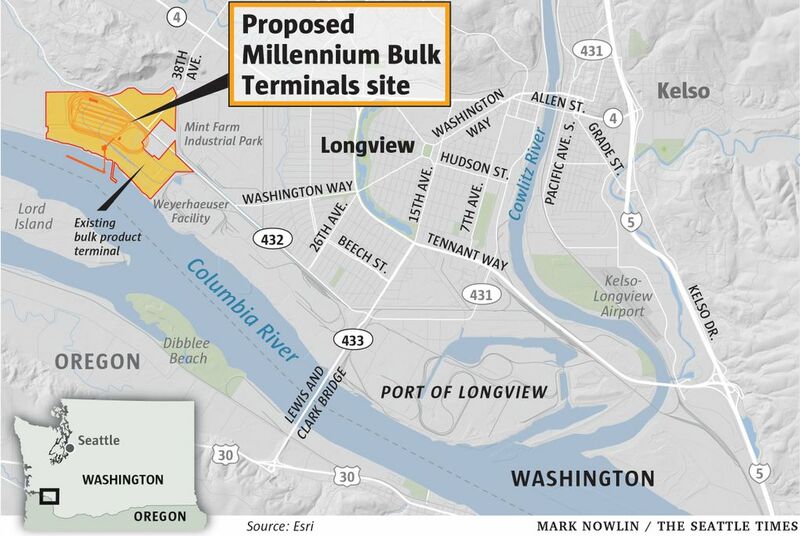 But Wednesday’s action is also widely seen as a response to the Washington Department of Ecology’s 2017 rejection of a water-quality permit for Millennium Bulk Terminals’ proposal in Longview. 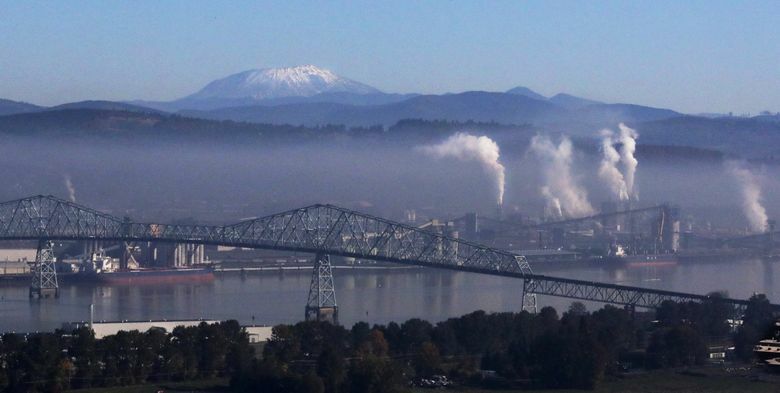 Developers had wanted to move as much as 44 million metric tons of coal annually — to arrive daily in up to 16 trains, each more than a mile long — through Cowlitz County. It would be the largest coal-export terminal in North America. Ecology’s decision angered coal-state Republicans, who contended state regulators were improperly biased against development of new fossil-fuel projects. “Washington state has hijacked the water quality certification process and blocked Wyoming coal from being exported,” declared Sen. John Barasso, R-Wyoming, in a statement that alleged Washington state’s “obstruction” was a result of politics, not water quality. State Department of Ecology director Maia Bellon, in announcing the decision, cited “too many unavoidable and negative impacts,” that included filling wetlands, dredging and the mile-long trains. It does not appear that new EPA consultation guidelines could overturn the state Ecology Department decision to reject the permit for the Longview terminal or other state rulings that already have been made, according to Kristen Boyles, an attorney with the Earthjustice Northwest office. But Boyles noted that the Millennium Bulk Terminal project is being challenged in state and federal courts. These legal challenges have not had much success, with a federal judge striking down all but one of the legal arguments that plaintiffs have raised in their bid to overturn the permit rejection. State officials note there are a multitude of other federally permitted projects that the Department of Ecology assesses each year for compliance with state water-quality rules. Last year, the state made 46 of these rulings. Such reviews could be affected by the new EPA guidance once it is finalized. The executive order was one of two signed by Trump on Wednesday to help speed energy development. The second executive order would take the power to approve cross-border energy pipelines away from the secretary of state, and give that authority directly to the president.